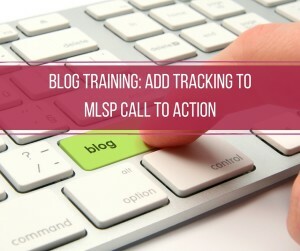 This is primarily blog training for those who are using the MLSP Sites and are using the MLSP Call To Action plugin. This will show you how to add the t=trackingcode to your link. I want to tell you if you are a blogger or just starting out then you really need to look into the MLSP Sites Blogging Platform. I don’t do a lot of these hands-on training posts, but this seemed valuable for those people using this great platform to blog. 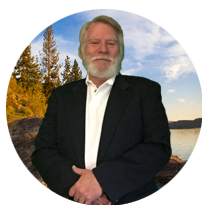 MLSP is an incredible system for creating a personal brand online and building you primary business while generating some income as you grow. There newest addition to their bag of tools is their blogging platform, MLSP Sites. This blogging platform is built on the most popular platform WordPress and has more bells and whistles than you can imagine. They have made this system easy enough for the starting blogger and robust enough for the seasoned blogger who wants their blog secure and hosted on an enterprise server. With over 80 plugins to choose from and some of the top WordPress Themes available you just can’t go wrong. I will take you through a step by step way to accomplish adding your tracking code to this plugin. FREE 19 Min Movie reveals the 5 things they do daily to Get Leads, Sign Up Reps, and Make Money from the 90% who say NO to YOUR Biz Opp… GUARANTEED! Being able to track what you are doing is so very important. If you track it you can improve on it. If you enjoyed this post, Blog Training: Add Tracking to MLSP Call To Action, then you will like this one too…MLSP Introduces MLSP Sites A Blogging System. Hmmmm…. you have me thinking. I wonder how easy it is to get an MLSP site up and running? I tried this with EN for my new team members and the hand holding was too much for me. How self-navigating easy is it to get a new MLSP site up and running? Great training the tracking is really important I have used it on all my YouTube videos. Funnelizer is another that is difficult to track. Thanks for the information. Thanks for the video Ron, I may have to contact you with some more help with the divi theme. Great video and thanks again. Very awesome share Ron I love the ad tracking tips in your video thanks! Great blog content. I will have to watch it again as I am not understanding the tracking on creating your own custom MLSP campaigns or sure how to do that. Thanks for your info. This is great info. I stopped blogging for a while.. but this has my brain going a mile… hmmm… time to look at this in more detail. Great training video, I’m all over MLSP Sites, but I haven’t added the tracking yet. Thanks for sharing. Love the video! Very helpful tutorial, tracking is crucial part of your marketing strategy. It helps you to find how does your campaign perform. So very true… thank you Lisa…. Tracking your where you leads are coming from is so important. I remember when I first got started I had zero tracking on my blog so the few leads I got I had no clue of where they came from. Since then I put tracking on all my links on my blog and it’s cool to be able to tell you generated a post from several months ago. Great post Ron! Tracking and testing a good ways to know what works and where the engine is working. Awesome video walkthrough training Ron! Tracking is so important, so that you know what works and what doesn’t! Ron, This article and video was right on point. I even shared on my social sites. Keep up the great job!! !